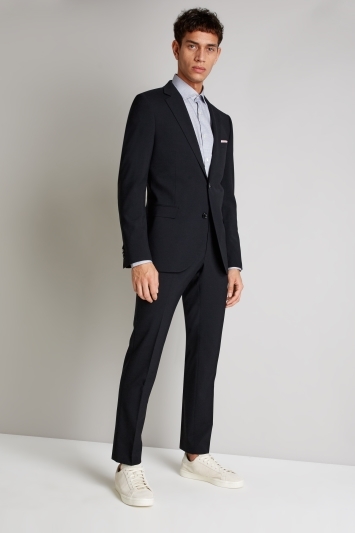 Smart and minimalist, our superb range of men’s slim fit suits are perfect for keeping you on the cutting-edge of contemporary fashion. 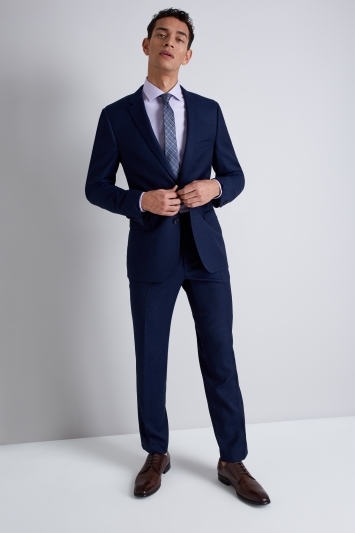 Presenting a more tailored, narrow fit around the chest as well as tapered trouser legs, this sharp, stylish look works for almost any occasion. 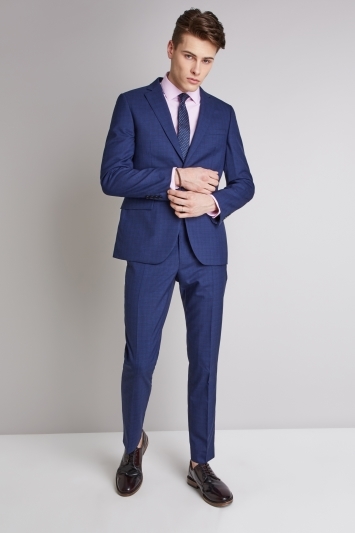 Whether you opt for a super-smart, plain black slim fit suit for the office, or a striking blue check number for your next party, our polished collection includes pieces from our fantastic house label, as well as DKNY and French Connection. 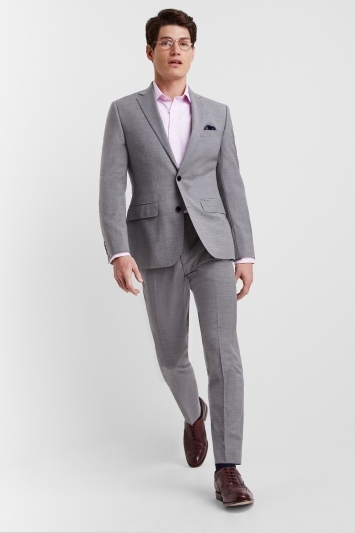 Pair with a choice pick from our range of extra slim fit shirts to complete your modern look.